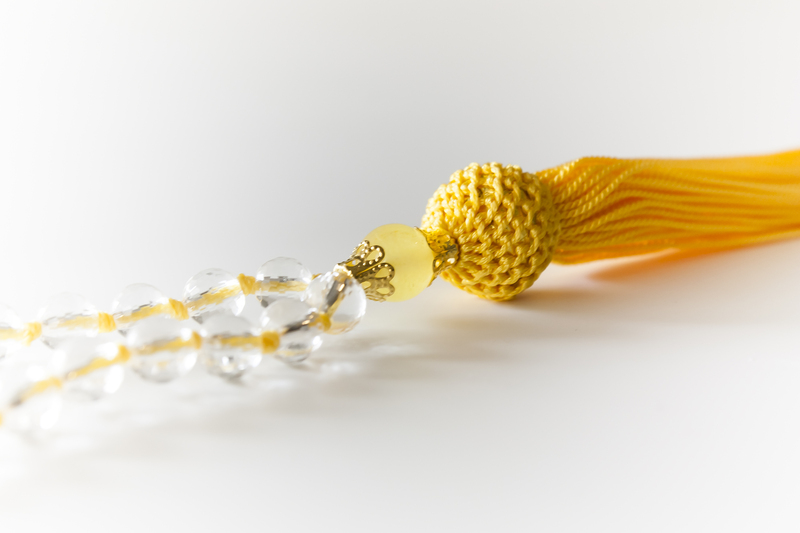 Japamala with 108 6mm beads of faceted crystal with fringe in yellow silk threads. Japamala is used for the vocalization of mantras and prayers. It assists in concentration with immense healing power and spiritual magick, but above all protection. 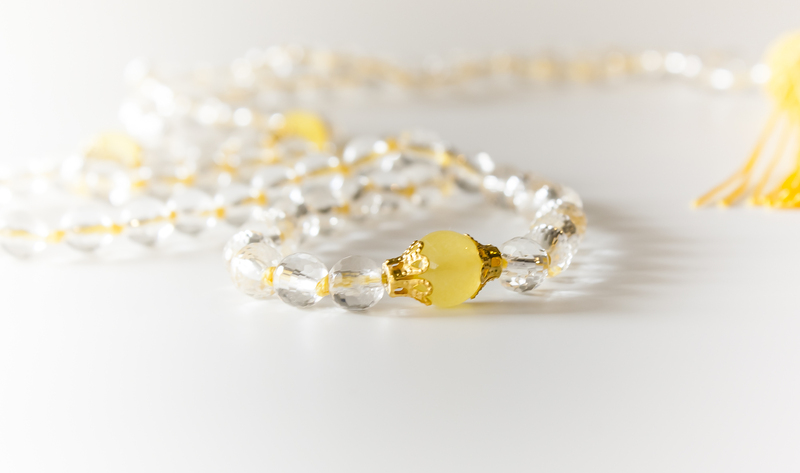 With 108 beads, represented by stones, is the sacred number in Hinduism. Japamala can help take away tension, anxiety and fear, leading you to higher levels of awareness and spiritual fulfillment. This piece is only made by order. Please contact us.